Heat oven to 400°F. Spray 13x9-inch (3-quart) baking dish with cooking spray. Tastes even better with piping hot Pillsbury biscuits. 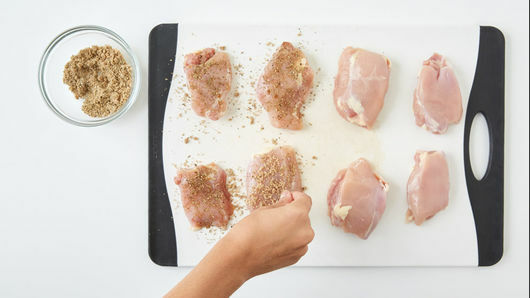 Use boneless skinless chicken breasts in place of the chicken thighs. It’s safe to say chicken and potato recipes for dinner will never go out of style. In fact, chicken dinners make up more than 8,000 results on Pillsbury.com. 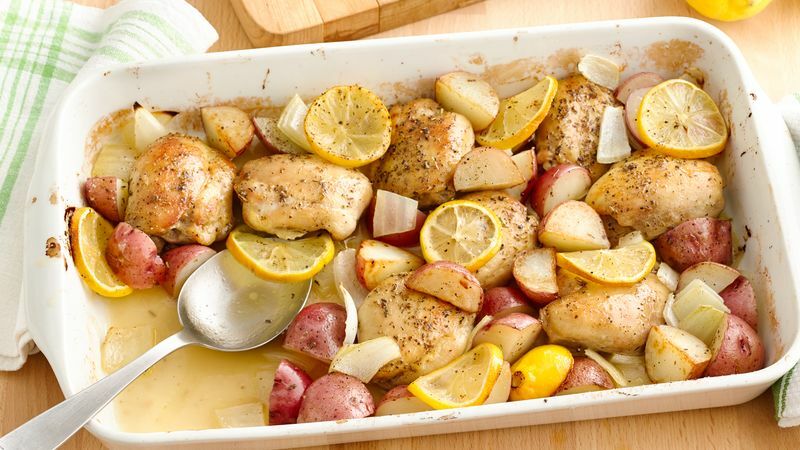 With its zingy lemon taste, this lemon chicken and potato recipe is perfect for when you’re on the hunt for a lighter meal heading into spring and summer. The prep time for this recipe is less than 20 minutes, which gives you more time to sit down and spend time with your family while it cooks. Bonus: Your kids will love the slight sweetness of the added brown sugar as it balances out the tart lemon flavor. 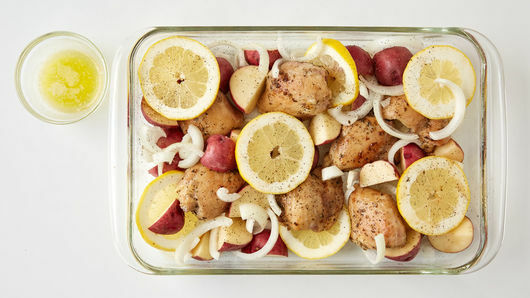 Once you’ve experienced all that this lemon chicken has to offer, take a tour through all of our best chicken dinners. 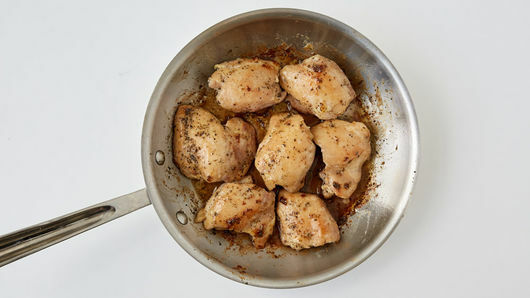 Want a refresher on the best ways to cook chicken? Our step-by-step guide for how to cook a whole chicken is all you need.